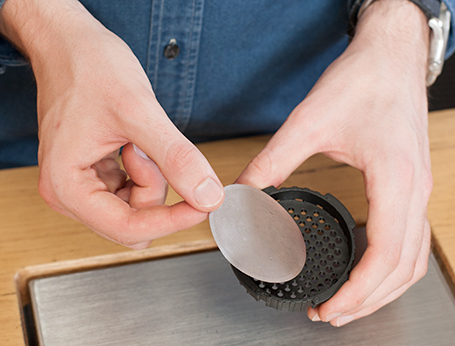 The DISK metal filter is a reusable filter designed to be used with the Aeropress coffee maker. This allows more oils and a fuller bodied cup of coffee when used with the Aeropress. The DISK also eliminates the need for paper filters, which is especially convenient when traveling. Beyond the convenience and great flavour a DISK filter provides, it also helps minimize waste. By using and reusing an Able DISK rather than disposable paper filters, you can reduce your landfill waste.